How often have you given a thought to recycling of plastic waste into fuel? Well, a technology developed by the National Institute of Technology, Calicut, (NIT-C), to convert assorted plastics to useful petroleum products is bringing the idea to fruition. The NIT-C and the FACT Engineering Design and Organisation (FEDO), the consultancy division of Kochi-based FACT Ltd, have inked a memorandum of understanding (MoU) for the design and implementation of a pilot plant for converting waste plastic into energy. “We have already made a prototype. Nearly 89% of conversion is possible with this technology and the residue is equivalent to ash. Petrol is extracted from the plastic oil,” Lisa Sreejith, professor of chemistry, NIT-C, told The Hindu on Saturday. She said the FEDO would execute the project on the NIT-C campus within a year. Prof. Lisa, who has developed a technology for converting plastics into energy, said the project would be implemented under the Swachhata Action of the Ministry of Human Resource Development. She said normally seven types of plastics with numbers ranging from group 1 to group 7 are found in the market. 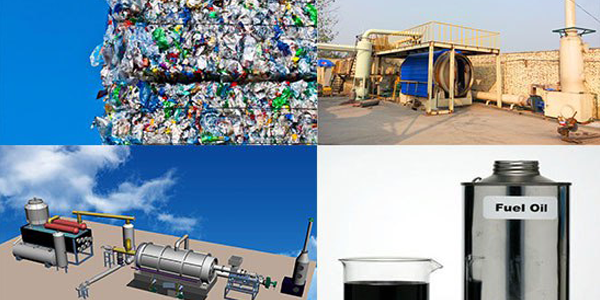 Group number one is Polyethylene Terephthalate (PET) used for making bottles for soft drinks and containers for jams while group 2 is High Density Polyethylene (HDPE) and group 3 is Polyvinyl Chloride (PVC). “The technology developed at the NIT-C is for all types of plastics. Besides, it is cost-effective without the generation of any type of pollutants,” said Prof. Lisa, who had earlier carried out research on converting plastics to cooking gas. The MoU was signed by Sivaji Chakravorti, Director, NIT-C, and B.K. Geetha, general manager, FEDO, on Friday. Already Prof. Lisa has filed a patent for getting an exclusive right for the technology developed by her. Previously, the Hyderabad-based CSIR-Indian Institute of Chemical Technology, under the Ministry of Science and Technology, had developed a catalyst that could be used for conversion of waste plastics to fuel oils. Likewise, the Dehradun-based CSIR-Indian Institute of Petroleum in collaboration with GAIL (India) Limited had developed a process by which waste polyethylene and polypropylene type plastics can be converted into petrol and diesel.